Air New Zealand Flight 901 (TE-901)[nb 1] was a scheduled Air New Zealand Antarctic sightseeing flight that operated between 1977 and 1979. The flight would leave Auckland Airport in the morning and spend a few hours flying over the Antarctic continent, before returning to Auckland in the evening via Christchurch. On 28 November 1979, the fourteenth flight of TE-901, a McDonnell Douglas DC-10-30, registration ZK-NZP, flew into Mount Erebus on Ross Island, Antarctica, killing all 237 passengers and 20 crew on board. The accident became known as the Mount Erebus disaster. The flight was designed and marketed as a unique sightseeing experience, carrying an experienced Antarctic guide who pointed out scenic features and landmarks using the aircraft public-address system, while passengers enjoyed a low-flying sweep of McMurdo Sound. The flights left and returned to New Zealand the same day. Flight 901 would leave Auckland International Airport at 8:00 am for Antarctica, and arrive back at Christchurch International Airport at 7:00 pm after flying a total of 5,360 miles (8,630 km). The aircraft would make a 45-minute stop at Christchurch for refuelling and crew change, before flying the remaining 464 miles (747 km) to Auckland, arriving at 9:00 pm. Tickets for the November 1979 flights cost NZ$359 per person (NZ$1,279 in December 2016 with transport-related inflation). Dignitaries including Sir Edmund Hillary had acted as guides on previous flights. Hillary was scheduled to act as the guide for the fatal flight of 28 November 1979, but had to cancel owing to other commitments. His long-time friend and climbing companion, Peter Mulgrew, stood in as guide. The aircraft used on the Antarctic flights were Air New Zealand's eight McDonnell Douglas DC-10-30 trijets. The aircraft on 28 November was registered ZK-NZP. The 182nd DC-10 to be built, and the fourth DC-10 to be introduced by Air New Zealand, ZK-NZP was handed over to the airline on 12 December 1974 at McDonnell Douglas's Long Beach plant. It was the first Air New Zealand DC-10 to be fitted with General Electric CF6-50C engines as built, and had logged more than 20,700 flight hours prior to the crash. Captain Jim Collins and co-pilot Greg Cassin had never flown to Antarctica before (while flight engineer Gordon Brooks had flown to Antarctica only once previously), but they were experienced pilots and were considered qualified for the flight. On 9 November 1979, 19 days before departure, the two pilots attended a briefing in which they were given a copy of the previous flight's flight plan. The flight plan that had been approved in 1977 by the New Zealand Department of Transport Civil Aviation Division was along a track directly from Cape Hallett to the McMurdo non-directional beacon (NDB), which, coincidentally, entailed flying almost directly over the 12,448-foot (3,794 m) peak of Mount Erebus. However, because of a typing error in the coordinates when the route was computerised, the printout from Air New Zealand's ground computer system presented at the 9 November briefing corresponded to a southerly flight path down the middle of the wide McMurdo Sound, approximately 27 miles (43 km) to the west of Mount Erebus. The majority of the previous 13 flights had also entered this flight plan's coordinates into their aircraft navigational systems and flown the McMurdo Sound route, unaware that the route flown did not correspond with the approved route. Captain Leslie Simpson, the pilot of a flight on 14 November and also present at the 9 November briefing, compared the coordinates of the McMurdo TACAN navigation beacon (approximately 5 kilometres [3 mi] east of McMurdo NDB), and the McMurdo waypoint that his flight crew had entered into the INS (Inertial Navigation System), and was surprised to find a large distance between the two. After his flight, Captain Simpson advised Air New Zealand's Navigation section of the difference in positions. For reasons that were disputed, this triggered Air New Zealand's Navigation section to resolve to update the McMurdo waypoint coordinates stored in the ground computer to correspond with the coordinates of the McMurdo TACAN beacon, despite this also not corresponding with the approved route. The Navigation section changed the McMurdo waypoint coordinate stored in the ground computer system at approximately 1:40 am on the morning of the flight. Crucially, the flight crew of Flight 901 was not notified of the change. The flight plan printout given to the crew on the morning of the flight, which was subsequently entered by them into the aircraft's INS, differed from the flight plan presented at the 9 November briefing and from Captain Collins' map mark-ups which he had prepared the night before the fatal flight. The key difference was that the flight plan presented at the briefing corresponded to a track down McMurdo Sound, giving Mount Erebus a wide berth to the east, whereas the flight plan printed on the morning of the flight corresponded to a track that coincided with Mount Erebus, which would result in a collision with Mount Erebus if this leg was flown at an altitude of less than 13,000 feet (4,000 m). Additionally, the computer program was altered such that the standard telex forwarded to US Air Traffic Controllers at the United States Antarctic science facility at McMurdo Station displayed the word "McMurdo", rather than the coordinates of latitude and longitude, for the final waypoint. During the subsequent inquiry Justice Mahon concluded that this was a deliberate attempt to conceal from the United States authorities that the flight plan had been changed, and probably because it was known that US Air Traffic Control would lodge an objection to the new flight path. The flight had earlier paused during the approach to McMurdo Sound to carry out a descent, via a figure-eight manoeuvre, through a gap in the low cloud base (later estimated to be at approximately 2,000 to 3,000 feet (610 to 910 m)) while over water to establish visual contact with surface landmarks and afford the passengers a better view. It was established that the flight crew either was unaware of or ignored the approved route's minimum safe altitude (MSA) of 16,000 feet (4,900 m) for the approach to Mount Erebus, and 6,000 feet (1,800 m) in the sector south of Mount Erebus (and then only when the cloud base was at 7,000 feet (2,100 m) or better). Photographs and news stories from previous flights showed that many of these had also been flown at levels substantially below the route's MSA. In addition, pre-flight briefings for previous flights had approved descents to any altitude authorised by the US Air Traffic Controller (ATC) at McMurdo Station. As the US ATC expected Flight 901 to follow the same route as previous flights down McMurdo Sound, and in accordance with the route waypoints previously advised by Air New Zealand to them, the ATC advised Flight 901 that it had a radar that could let them down to 1,500 feet (460 m). However, the radar equipment did not actually pick up the aircraft, and the crew also experienced difficulty establishing VHF communications. The distance measuring equipment (DME) did not lock onto the McMurdo Tactical Air Navigation System (TACAN) for any useful period. Cockpit voice recorder transcripts from the last minutes of the flight before impact with Mount Erebus indicated that the flight crew believed they were flying over McMurdo Sound, well to the west of Mount Erebus and with the Ross Ice Shelf visible on the horizon, when in reality they were flying directly toward the mountain. Despite most of the crew being engaged in identifying visual landmarks at the time, they never perceived the mountain directly in front of them. Approximately six minutes after completing a descent in Visual Meteorological Conditions, Flight 901 collided with the mountain at an altitude of approximately 1,500 feet (460 m), on the lower slopes of the 12,448-foot (3,794 m) tall mountain. Passenger photographs taken seconds before the collision removed all doubt of a "flying in cloud" theory, showing perfectly clear visibility well beneath the cloud base, with landmarks 13 miles (21 km) to the left and 10 miles (16 km) to the right of the aircraft visible. The crew input the coordinates into the plane's computer before they departed at 7:21 am from Auckland International Airport. Unknown to them, the coordinates had been modified earlier that morning to correct the error introduced previously and undetected until then. The crew evidently did not check the destination waypoint against a topographical map (as did Captain Simpson on the flight of 14 November) or they would have noticed the change. Charts for the Antarctic were not available to the pilot for planning purposes, being withheld[why?] until the flight was about to depart. The charts eventually provided, which were carried on the aircraft, were neither comprehensive enough nor large enough in scale to support detailed plotting. Such cross checks (and more crucially, real-time monitoring of the aircraft's actual position over the ground) was neither supported nor required, nor even encouraged, by the Navigation Section of Air New Zealand. These new coordinates changed the flight plan to track 27 miles (43 km) east of their understanding. The coordinates programmed the plane to overfly Mount Erebus, a 12,448-foot-high (3,794 m) volcano, instead of down McMurdo Sound. About four hours after a smooth take-off, the flight was 42 miles (68 km) away from McMurdo Station. The radio communications centre there allowed the pilots to descend to 10,000 ft (3,000 m) and to continue "visually." Air safety regulations at the time did not allow flights to descend to lower than 6,000 ft (1,800 m), even in good weather, although Air New Zealand's own travel magazine showed photographs of previous flights clearly operating below 6,000 ft (1,800 m). Collins believed the plane was over open water. Collins told McMurdo Station that he would be dropping to 2,000 feet (610 m), at which point he switched control of the aircraft to the automated computer system. Outside there was a layer of clouds that blended with the white of the snow-covered volcano, forming a sector whiteout – there was no contrast between the two to warn the pilots. The effect deceived everyone on the flight deck, making them believe that the white mountainside was the Ross Ice Shelf, a huge expanse of floating ice derived from the great ice sheets of Antarctica, which was in fact now behind the mountain. As it was little understood, even by experienced polar pilots, Air New Zealand had provided no training for the flight crew on the sector whiteout phenomenon. Consequently, the crew thought they were flying along McMurdo Sound, when they were actually flying over Lewis Bay in front of Mt. Erebus. The go-around power was immediately applied, but it was too late. There was no time to divert the aircraft, and six seconds later the plane crashed into the side of Mount Erebus and exploded, instantly killing everyone on board. The accident occurred at 12:50 pm at a position of 77°25′30″S 167°27′30″E﻿ / ﻿77.42500°S 167.45833°E﻿ / -77.42500; 167.45833﻿ (accident site) and an elevation of 1,467 feet (447 m) AMSL. McMurdo Station attempted to contact the flight after the crash, and informed Air New Zealand headquarters in Auckland that communication with the aircraft had been lost. United States search and rescue personnel were placed on standby. Flight 901 was due to arrive back at Christchurch at 6:05 pm for a stopover including refuelling and a crew change before completing the journey back to Auckland. Around 50 passengers were also supposed to disembark at Christchurch. Airport staff initially told the waiting families that it was usual for the flight to be slightly late but, as time went on, it became clear that something was wrong. At 9:00 pm, about half an hour after the plane would have run out of fuel, Air New Zealand informed the press that it believed the aircraft to be lost. Rescue teams searched along the assumed flight path but found nothing. At 12:55 am the crew of a United States Navy aircraft discovered unidentified debris along the side of Mount Erebus. :4 No survivors could be seen. At around 9:00 am, twenty hours after the crash, helicopters with search parties managed to land on the side of the mountain. They confirmed that the wreckage was that of Flight 901 and that all 237 passengers and 20 crew members had been killed. The DC-10's altitude at the time of the collision was 1,465 feet (447 m). The vertical stabiliser section of the plane, with the koru logo clearly visible, was found in the snow. Bodies and fragments of the aircraft were flown back to Auckland for identification. The remains of 44 of the victims were not individually identified. A funeral was held for them on 22 February 1980. Efforts for recovery were extensive, owing in part to the pressure from Japan, as 24 passengers had been Japanese. The operation lasted until 9 December 1979, with up to 60 recovery workers on site at a time. A team of New Zealand Police officers and a Mountain Face Rescue team were dispatched on a No. 40 Squadron C-130 Hercules aircraft. The job of individual identification took many weeks, and was largely done by teams of pathologists, dentists, and police. The mortuary team was led by Inspector Jim Morgan, who collated and edited a report on the recovery operation. Record keeping had to be meticulous because of the number and fragmented state of the human remains that had to be identified to the satisfaction of the coroner. From a purely technical point of view the exercise was both innovative and highly successful, with 83% of the deceased eventually being identified, sometimes from evidence such as a finger capable of yielding a print, or keys in a pocket. We ran out of cigarettes, a catastrophe that caused all persons, civilians and Police on site, to hand in their personal supplies so we could dish them out equally and spin out the supply we had. As the weather cleared, the helos were able to get back and we then were able to hook the piles of bodies in cargo nets under the helicopters and they were taken to McMurdo. This was doubly exhausting because we also had to wind down the personnel numbers with each helo load and that left the remaining people with more work to do. It was exhausting uncovering the bodies and loading them and dangerous too as debris from the crash site was whipped up by the helo rotors. Risks were taken by all those involved in this work. The civilians from McDonnell Douglas, MOT and U.S. Navy personnel were first to leave and then the Police and DSIR followed. I am proud of my service and those of my colleagues on Mount Erebus. In 2006, the New Zealand Special Service Medal (Erebus) was instituted to recognise the service of New Zealanders, and citizens of the United States of America and other countries, who were involved in the body recovery, identification, and crash investigation phases of Operation Overdue. On 5 June 2009 the New Zealand government recognised some of the Americans who assisted in Operation Overdue during a ceremony in Washington, D.C. A total of 40 Americans, mostly Navy personnel, are eligible to receive the medal. Despite Flight 901 crashing in one of the most isolated parts of the world, evidence from the crash site was extensive. 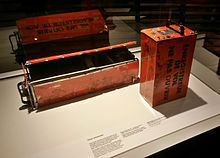 Both the cockpit voice recorder and the flight data recorder were in working order and able to be deciphered. Extensive photographic footage from the moments before the crash was available: being a sightseeing flight, most passengers were carrying cameras, from which the majority of the film could be developed. In response to public demand, the New Zealand Government announced a further one-man Royal Commission of Inquiry into the accident, to be performed by the highly respected judge Justice Peter Mahon. This Royal Commission was 'handicapped' in that the deadline was extremely short; originally set for 31 October 1980, it was later extended four times. In para. 377 of his report, Mahon found  that airline executives and senior (management) pilots had engaged in a conspiracy to whitewash the inquiry, accusing them of "an orchestrated litany of lies" by covering up evidence and lying to investigators. Mahon found that in the original report Chippindale had a poor grasp of the flying involved in jet airline operation, as he (and the New Zealand CAA in general) was typically involved in investigating simple light aircraft crashes. Chippindale's investigation techniques were revealed as lacking in rigour, which allowed errors and avoidable gaps in knowledge to appear in reports. Consequently, Chippindale entirely missed the importance of the flight plan change and the rare meteorological conditions of Antarctica. Had the pilots been informed of the flight plan change, the crash would have been avoided. On 20 May 1981, Air New Zealand applied to the High Court of New Zealand for judicial review of Mahon's order that it pay more than half the costs of the Mahon Inquiry, and for judicial review of some of the findings of fact Mahon had made in his report. The application was referred to the Court of Appeal, which unanimously set aside the costs order. However, the Court of Appeal, by majority, declined to go any further, and, in particular, declined to set aside Mahon's finding that members of the management of Air New Zealand had conspired to commit perjury before the Inquiry to cover up the errors of the ground staff. Regarding the issue of Air New Zealand stating a minimum altitude of 6,000 feet for pilots in the vicinity of McMurdo Base, the Privy Council stated "Their Lordships accept unreservedly that ... the evidence given by several of the executive pilots at the inquiry was false. But, even though false ... it cannot have formed part of a predetermined plan of deception. Those witnesses whom the Judge disbelieved on this issue were, as their Lordships must accept, being untruthful ... they were also being singularly naive. [Q]uite apart from the mass of evidence of flights at low altitudes and the publicity given to them ... it is not conceivable that individual witnesses falsely disclaimed knowledge of low flying on previous Antarctic flights in a concerted attempt to deceive anybody". The crash of Flight 901 is one of New Zealand's three deadliest disasters – the others being the 1874 Cospatrick sailing ship disaster in which 470 people died, and the 1931 Hawke's Bay earthquake, which killed 256 people. At the time of the disaster, it was the fourth-deadliest air crash of all time; as of 2014[update] it ranks 18th. As of April 2018 (2018-04)[update], the crash remains Air New Zealand's deadliest accident, as well as New Zealand's deadliest peacetime disaster. Flight 901, in conjunction with the crash of American Airlines Flight 191 in Chicago six months earlier (May 25), severely hurt the reputation of the McDonnell Douglas DC-10. Following the Chicago crash, the FAA withdrew the DC-10's type certificate on June 6, which grounded all U.S.-registered DC-10s and forbade any foreign government which had a bilateral agreement with the United States regarding aircraft certifications from flying their DC-10s, which included Air New Zealand’s seven DC-10s. The Air New Zealand DC-10 fleet was grounded until the FAA measures were rescinded five weeks later, on July 13, after all carriers had completed modifications that responded to issues discovered from the American Airlines Flight 191 incident. Almost all of the aircraft's wreckage still lies where it came to rest on the slopes of Mount Erebus, as both its remote location and its weather conditions can hamper any further recovery operations. During the cold periods, the wreckage is buried under a layer of snow and ice. During warm periods, when snow recedes, it is visible from the air. A television miniseries, Erebus: The Aftermath, focusing on the investigation and the Royal Commission of Inquiry, was broadcast in New Zealand and Australia in 1988. The phrase "an orchestrated litany of lies" entered New Zealand popular culture for some years. Following the incident, all charter flights to Antarctica from New Zealand ceased, and were not resumed until 2013, when a Boeing 747-400 chartered from Qantas set off from Auckland for a sightseeing flight over the continent. In 2008, Justice Mahon was posthumously awarded the Jim Collins Memorial Award by the New Zealand Airline Pilots Association for exceptional contributions to air safety, "in forever changing the general approach used in transport accidents investigations world wide." 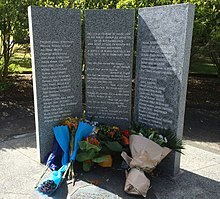 In 2009, Air New Zealand's CEO Rob Fyfe apologised to all those affected who did not receive appropriate support and compassion from the company following the incident, and unveiled a commemorative sculpture at its headquarters. The memorial for the 16 passengers who were unidentifiable and the 28 whose bodies were never found is at Waikumete Cemetery in Glen Eden, Auckland. Beside the memorial is a Japanese cherry tree, planted as a memorial to the 24 Japanese passengers who died on board Flight 901. A memorial to the crew members of Flight 901 is located adjacent to Auckland Airport, on Tom Pearce Drive at the eastern end of the airport zone. In January 2010, a 26-kilogram (57 lb) sculpted koru containing letters written by the loved ones of those who died was placed next to the Antarctic cross. It was originally to have been placed at the site by six relatives of the victims on the 30th anniversary of the crash, 28 November 2009, but this was delayed for two months due to bad weather. It was planned for a second koru capsule, mirroring the first capsule, to be placed at Scott Base in 2011. The book-length poem “Erebus” by American writer Jane Summer (Sibling Rivalry Press, 2015) memorializes a close friend who died in the tragedy, and in a feat of ‘investigative poetry,’ explores the chain of flawed decisions that caused the crash. ^ At the time of the crash, Air New Zealand had two IATA codes, TE for international flights (a relic from Air New Zealand's predecessor, Tasman Empire Airways Limited (TEAL)) and NZ for domestic flights (acquired from the merger with the National Airways Corporation in April 1978). Despite being domestic flights from an immigration point-of-view, the Antarctic flights used the TE code for logistical reasons. ^ GPWS = Ground Proximity Warning System , CA = Captain , FO = First Officer , FE = Flight Engineer, CAM = Cockpit Area Micophone. ^ a b Accident description for ZK-NZP at the Aviation Safety Network. Retrieved on 24 August 2011. ^ "DC-10 playbacks awaited". Flight International: 1987. 15 December 1979. Archived from the original on 24 January 2013. At press time no information had been released concerning the flightdata and cockpit-voice recorder of Air New Zealand McDonnell Douglas DC-10 ZK-NZP which crashed on Mount Erebus on 28 November. 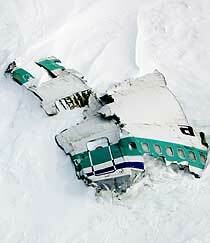 ^ a b c d e f g "Mt Erebus Plane Crash: DC-10 ZK-NZP, Flight 901". Christchurch City Libraries. Archived from the original on 24 January 2013. ^ "RBNZ – New Zealand Inflation Calculator". ^ "Erebus disaster". NZ History. 9 June 2009. ^ Hickson, Ken (1980). Flight 901 to Erebus. Whitcoulls Publishers. ISBN 978-0-7233-0641-2. ^ a b Mahon, Peter (1984). Verdict on Erebus. Collins. ISBN 0-00-636976-6. ^ "Erebus flight briefing". New Zealand History online. Ministry for Culture and Heritage. Archived from the original on 4 November 2013. ^ "Erebus crash site map – NZhistory.net.nz". Retrieved 2 December 2009. ^ "2. Analysis" (PDF). Chippindale Report. p. 29. ^ "cvr 791128". planecrashinfo.com. Retrieved 13 April 2019. ^ Transport Accident Investigation Commission (1980). "AIRCRAFT ACCIDENT REPORT No. 79-139: Air New Zealand McDonnell-Douglas DC10-30 ZK-NZP, Ross Island, Antarctica, 28 November 1979" (PDF). Wellington, New Zealand: Office of Air Accidents Investigation, Ministry of Transport. Archived from the original (PDF) on 24 January 2013. ^ Robertson, David. Air NZ likely to switch to 747s. The Sydney Morning Herald: 30 November 1979, p. 2. ^ "Erebus Roll of Remembrance". Retrieved 5 November 2009. ^ "Erebus flight overdue = NZHistory.net.nz". Retrieved 1 December 2009. ^ Bill Spindler. "Air New Zealand DC-10 crash into Mt. Erebus". Retrieved 11 July 2006. ^ Rejcek, Peter (2 July 2009). "Erebus Medals". The Antarctic Sun. Archived from the original on 7 February 2011. ^ "Captain Vette's Research". Retrieved 1 December 2009. ^ "A dark passage in NZ history – tvnz.co.nz". 23 October 2009. Archived from the original on 21 November 2009. Retrieved 2 December 2009. ^ a b "The Honourable Peter Thomas Mahon (Appeal No. 12 of 1983) v Air New Zealand Limited and Others (New Zealand) 1983 UKPC 29 (20 October 1983)" (PDF). BAILII. 20 October 1983. ^ "The Mahon Report". The Erebus Story. Retrieved 23 April 2017. ^ Ministry for Culture and Heritage. "Erebus disaster Page 6 – Finding the cause". New Zealand History. Retrieved 5 July 2017. ^ "The Honourable Peter Thomas Mahon (Appeal No. 12 of 1983) v Air New Zealand Limited and Others (New Zealand) 1983 UKPC 29 (20 October 1983)" (PDF). BAILII. 20 October 1983. ^ "Fire on the Cospatrick". Te Ara: The Encyclopedia of New Zealand. Retrieved 12 May 2013. ^ John Wilson, The voyage out - Fire on the Cospatrick, from Te Ara: The Encyclopedia of New Zealand. Updated 2007-09-21. Accessed 2008-05-20. ^ "Quake will rank among worst disasters". ^ Spitzer, Aaron (28 November 1999). "Antarctica's darkest day" (PDF). The Antarctic Sun. Archived from the original (PDF) on 4 March 2016. ^ "Erebus disaster Page 1 – Introduction". New Zealand History. New Zealand Ministry for Culture and Heritage. 15 August 2014. Retrieved 11 May 2015. ^ "Air NZ apologises for Mt Erebus crash". The Age. Wellington. 24 October 2009. Archived from the original on 28 November 2012. ^ North, David M. (12 June 1979). "DC-10 Type Certificate Lifted". Aviation Week & Space Technology. Retrieved 9 August 2018. ^ Endres, Günter (1998). McDonnell Douglas DC-10. Saint Paul: MBI Publishing Company. ISBN 0-7603-0617-6. ^ "TE901 debris reappears on icy slopes of Erebus". NZ Herald. 2 June 2005. ISSN 1170-0777. Retrieved 10 April 2018. ^ "Banshee Reel". Archived from the original on 25 October 2009. Retrieved 19 November 2007. "a famous quote from NZs recent political past"
^ "BREAKING NEWS – FEBRUARY 2004". Citizens for Health Choices. February 2004. Archived from the original on 22 November 2007. Retrieved 19 November 2007. "To quote a well-known phrase, there has been 'An orchestrated litany of lies'"
^ "Background Comments on the Stent Report". PSA. April 1998. Archived from the original (DOC) on 2007-10-07. Retrieved 19 November 2007. "...a phrase that is likely to resound as did 'an orchestrated litany of lies' in another investigation"
^ "NZ to resume commercial flights to Antarctica". Traveller Online. Retrieved 7 December 2018. ^ "Mahon posthumously awarded". stuff.co.nz. 1 December 2008. Archived from the original on 12 May 2009. Retrieved 12 May 2009. ^ Address from Rob Fyfe, Air New Zealand CEO, at Unveiling of Momentum Sculpture Archived 1 March 2010 at the Wayback Machine, Air New Zealand press release, 23 October 2009. ^ Fox, Michael (23 October 2009). "Air New Zealand apology 30 years after Erebus tragedy". Stuff.co.nz. Retrieved 15 November 2009. ^ "Waikumete Cemetery Public Memorial". Retrieved 1 December 2009. ^ "Crew Memorial at Auckland Airport". Retrieved 1 December 2009. ^ "Memorial placed at Mt Erebus crash site". Television New Zealand. 21 January 2010. Retrieved 16 September 2011. ^ "Ballot drawn for Remembrance flight to Antarctica". Air New Zealand. 30 September 2010. Archived from the original on 6 December 2010. Retrieved 21 November 2010. Wikimedia Commons has media related to Air New Zealand Flight 901. "Antarctic crash crew "misled by management"". Flight International. 119 (3757): 1292. 9 May 1981. Archived from the original on 20 October 2012.